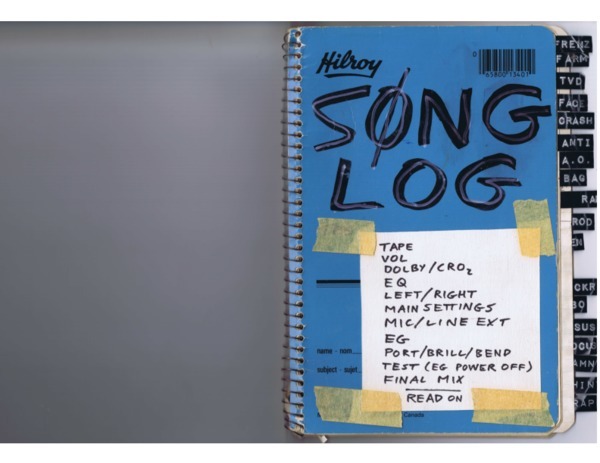 A book of electronic settings, music, and lyrics used by Scott in The Party's Over in rehearsal and in recording performance. 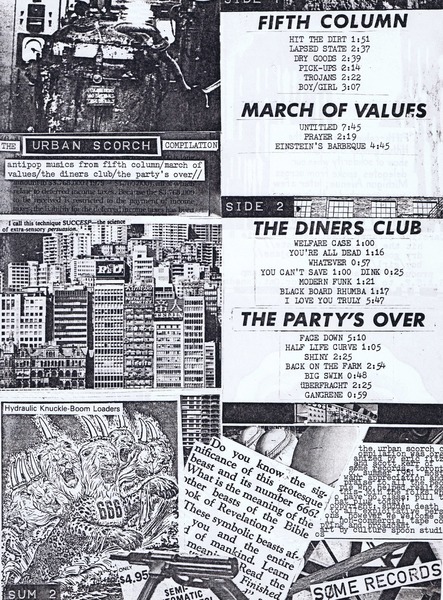 Poster for concert with: The Exploding Tickets, Fifth Column, March of Values, Polar Question & Vegetable Friends. 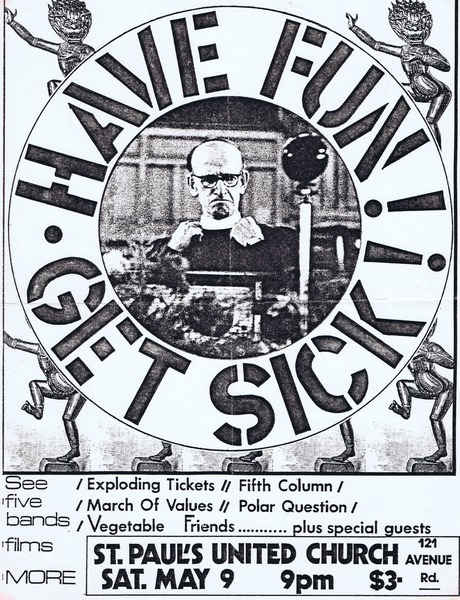 Interview done in 1981 with Grant Heaps. 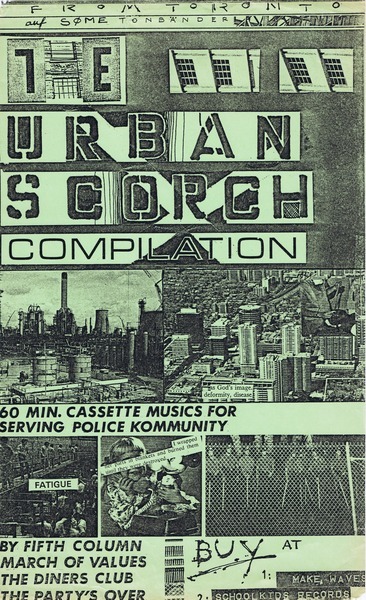 It was used as promotional material on Søme Records' mailouts for Urban Scorch. 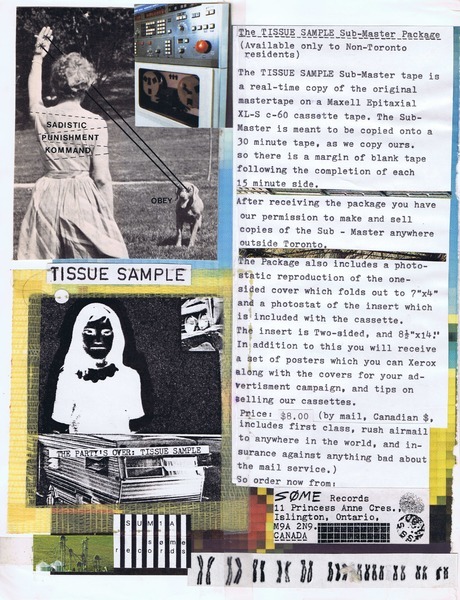 Tissue Sample and Urban Scorch Sub-Master Package mail out. A medley of 2 songs opening The Party's Over's section of the Urban Scorch compilation. 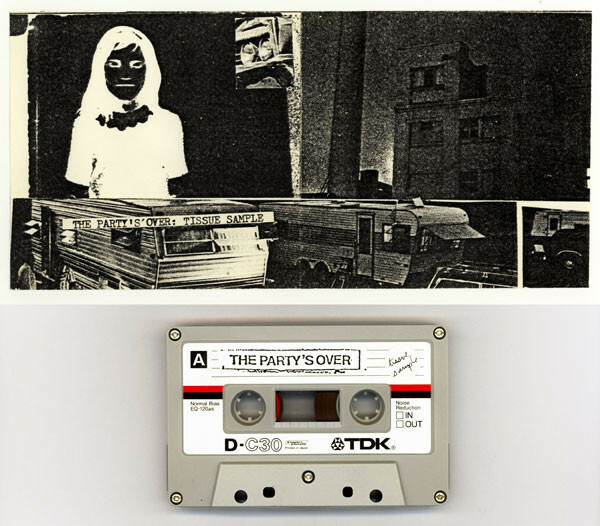 The Party's Over: Tissue Sample cassette and album art. 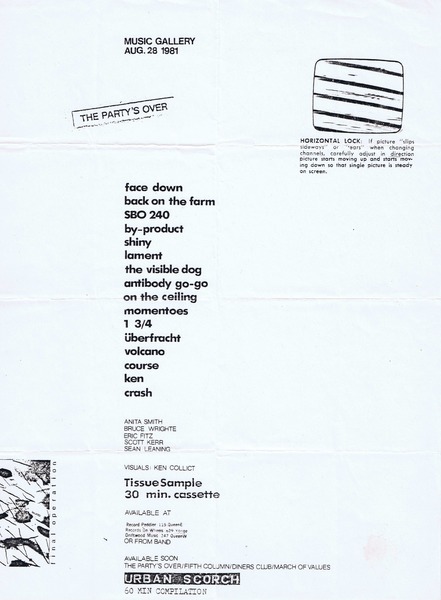 This was a setlist/handout we did for the show on Apr 2, 1981 at The Cabana Room in the Spadina hotel. 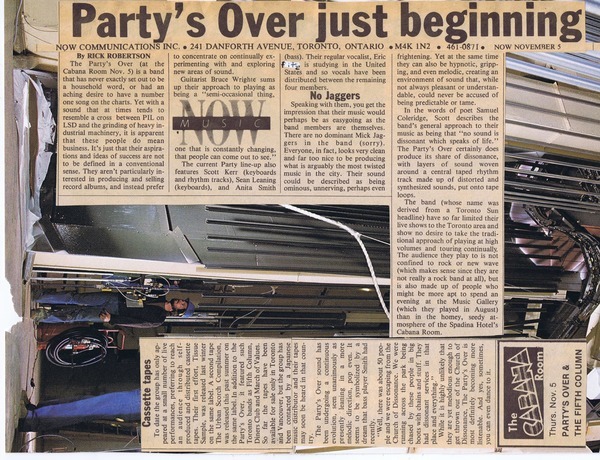 There were 2 sets. This was a set list we handed out before the show. 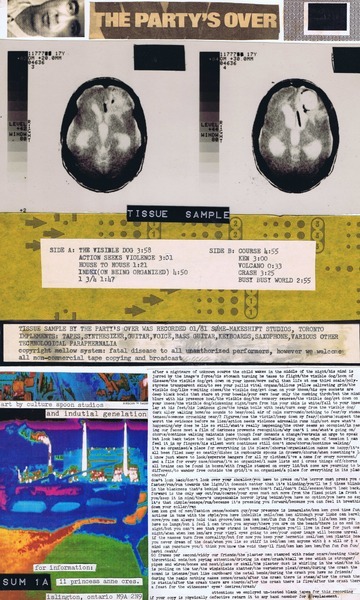 This is the master & photocopy of the insert that accompanied the cassette "Tissue Sample" by The Party's Over on Søme Records. 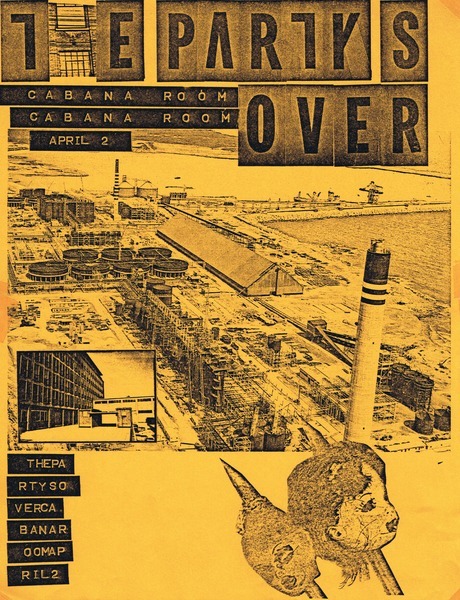 Poster for Gig at OCA. 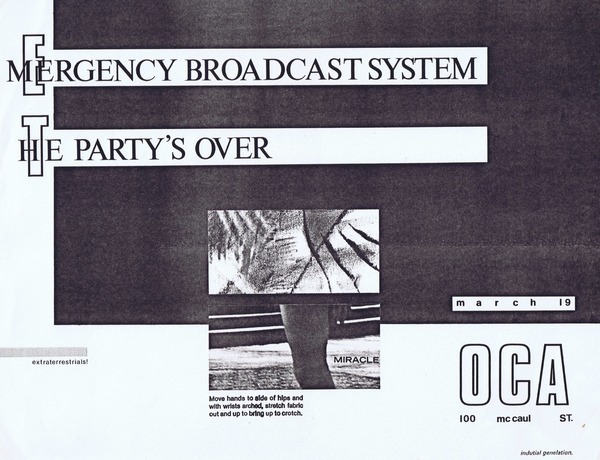 Gig poster for The Party's Over & Emergency Broadcast System, at The Cabana Room in the Spadina Hotel. 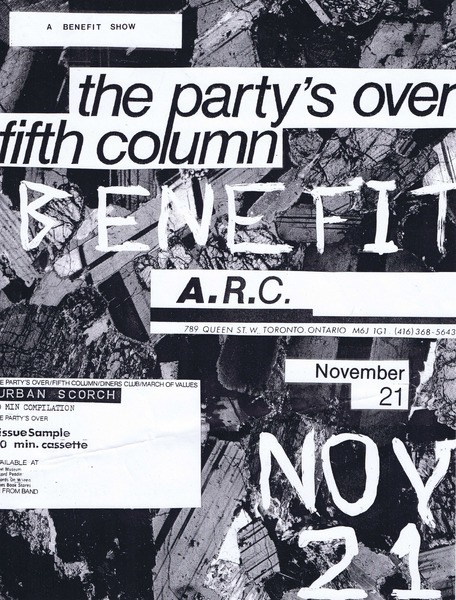 Gig poster for a benefit we performed at Artcultural Resource Centre (now Romni Wools on Queen). 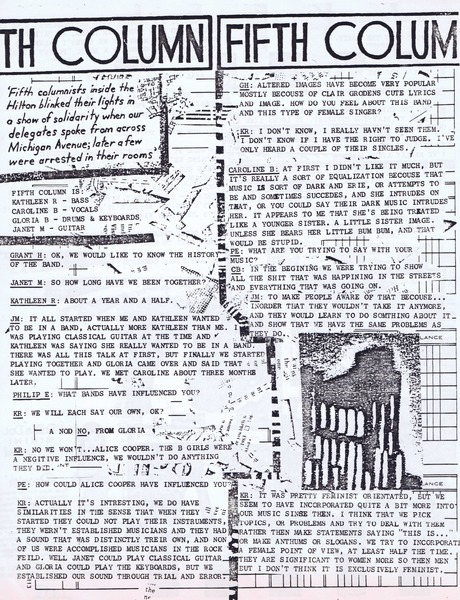 Nov 21 1981. Poster by Eric Fitz. 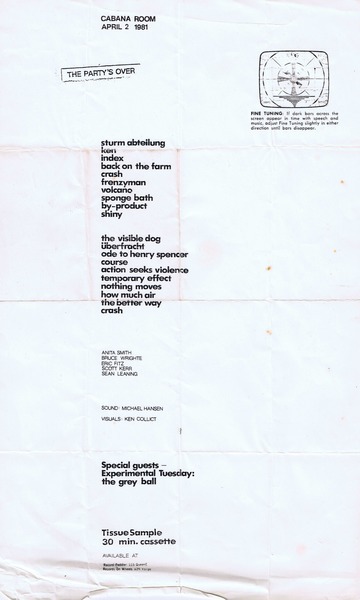 Setlist/handout by Bruce Wrighte. 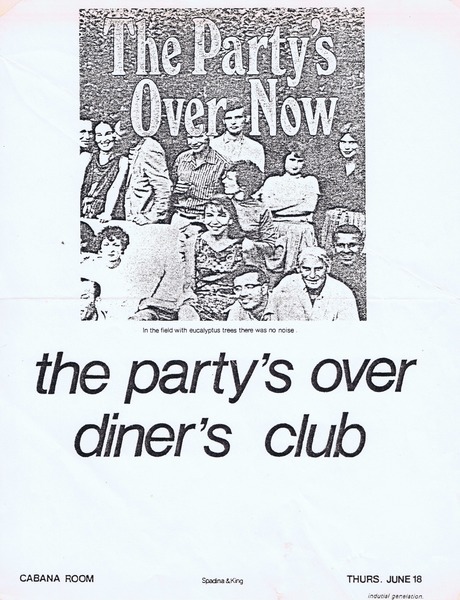 This is the first interview/article profiling a band published in Now Magazine, Nov 5, 1981. 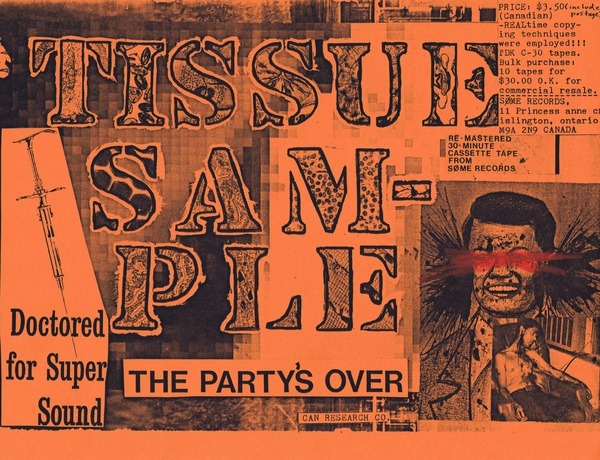 Poster and mailout sheet for Tissue Sample - the first release by The Party's Over.